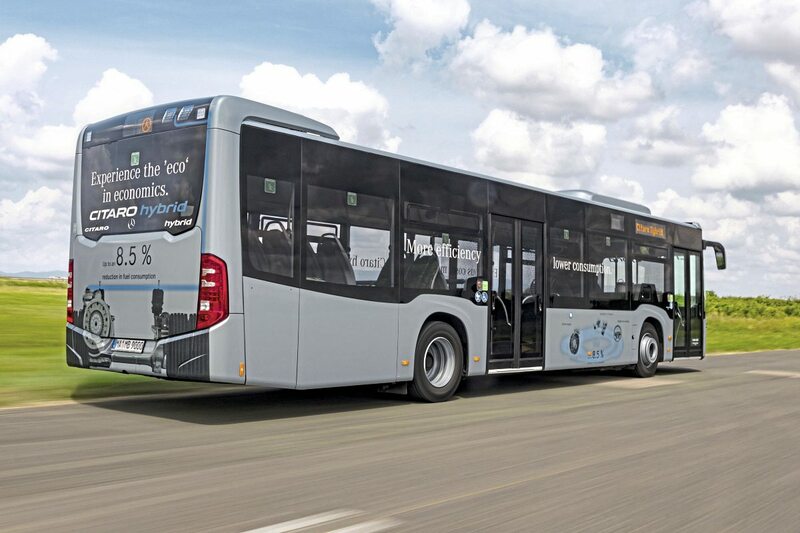 Although an example has been unveiled and commercial production will begin next year, for a manufacturer with such long experience of alternative propulsion systems Mercedes-Benz has been surprisingly slow to embrace full electric technology in commercial bus offerings. 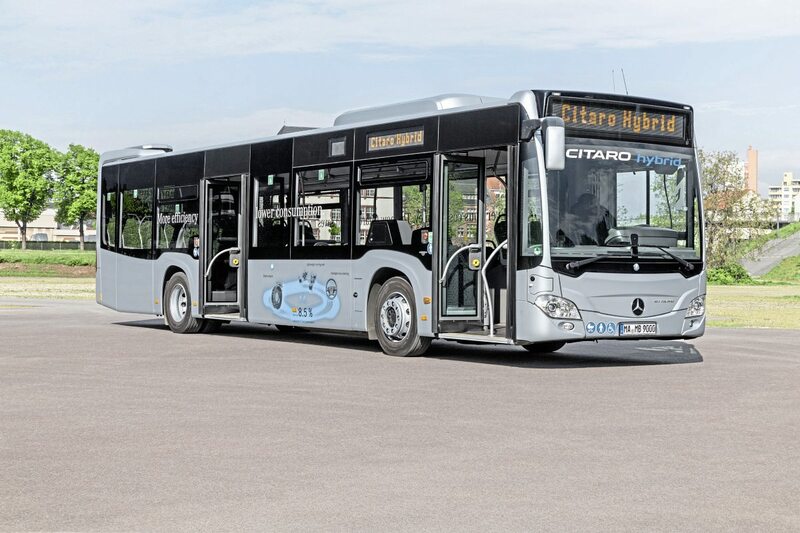 With no production electric to offer, Daimler chose to send the latest version of the diesel Citaro to Zagreb, the Citaro Hybrid. 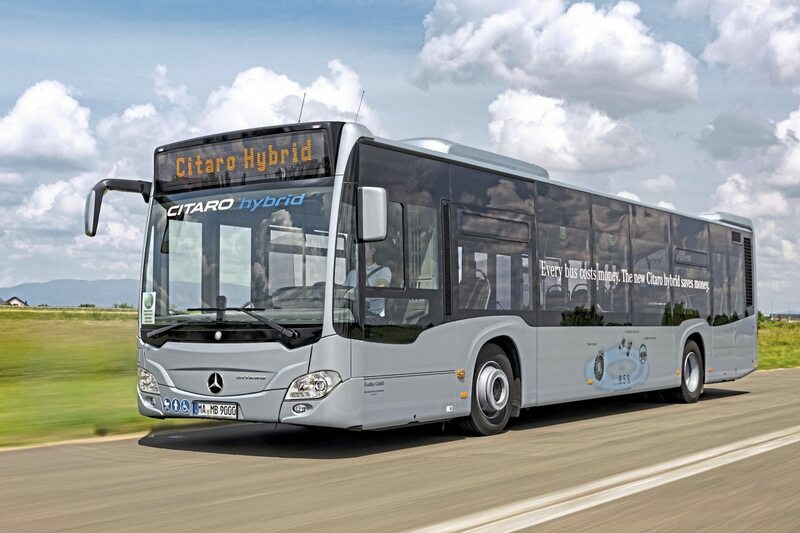 To British eyes, what Daimler refers to as a hybrid is not really a full hybrid as the bus does not have full electric mode, but rather a mild hybrid, whereby the hybridisation supports the diesel motor; a concept that has been extensively utilised by UK manufacturers for some years. Daimler says it has no plans to develop a true hybrid. 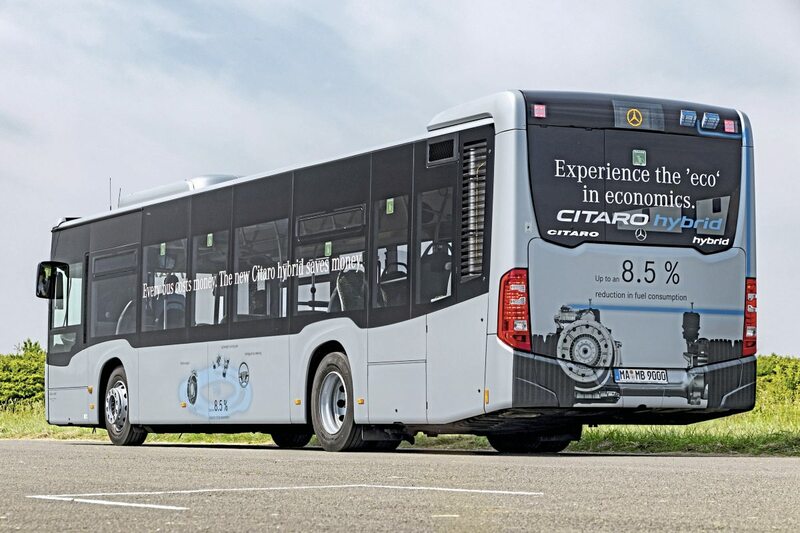 With the exception of a small roof-mounted ultracapacitor pack at the rear, the Citaro Hybrid looks exactly the same as any other diesel Citaro and it has a similar carrying capacity. It has the same Mercedes-Benz OM936h 7.7-litre six-cylinder diesel or the CNG alternative, and the same ZF AP1200B EcoLife transmission. 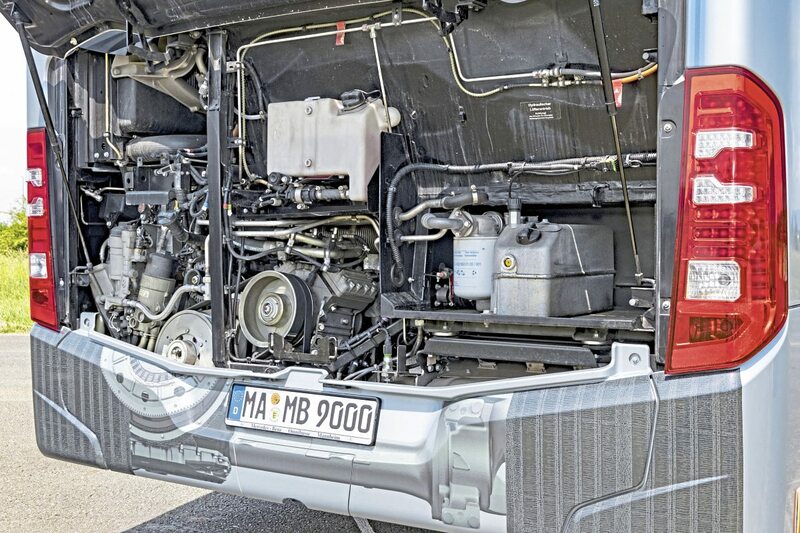 What is different is a package of three components, together weighing 156kg, two of which can also be specified on purely diesel powered buses. One of these three items is intelligent eco steering using an electro-hydraulic steering pump. This is demand driven, only requiring energy when it is performing the steering role. The second is a lightweight running axle developed in conjunction with ZF. A version of the existing AV133 unit designated the AV133/87ep, it uses partially synthetic oil rather than mineral oil, has a membrane breather instead of a ventilation pipe and has a special finish to the portal drive. In combination these aspects reduce fuel usage and enable the unit service interval to be extended from 180,000km to 240,000km. The biggest influence on a total fuel saving, that can reach up to 8.5%, is the mild hybrid system which supports the diesel under peak load and reduces stress on it during idling. At the heart of this is an electric motor located between the engine and transmission that can work in either motor or generator mode. A higher-duty development of technology used in passenger cars, this generates a 14 kW maximum output and peak torque of 220 Nm. 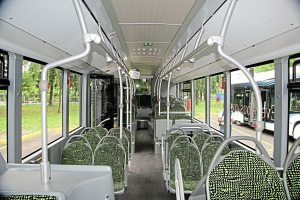 The mild hybrid storage system utilises roof-mounted supercapacitors and there is a DC/DC converter with system software that interfaces with the Citaro’s CAN system. Welcome to operators is the low voltage nature of the system, which operates at only 48 volts, without the need for bright orange cabling and all of the special training for maintenance staff that this entails. You can hardly see the compact unit which incorporates a synchronous motor and permanent magnets, with the engine bay lockers open. 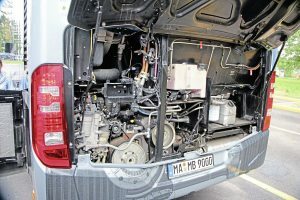 Mercedes-Benz said that changing it would be similar to replacing a clutch, stressing that with no mechanical connection to any moving part it should have a very long life. These options can all be supplied on right- and left-hand drive buses, the only limiting feature being production slots as over 500 Citaro Hybrids have been ordered for delivery by the year end. 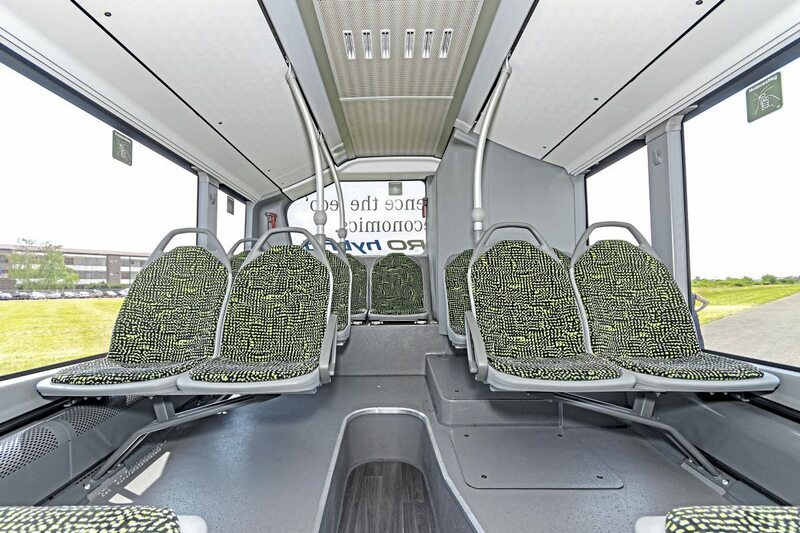 Length options between 10.5m and 18m are available but the hybrid system cannot be fitted on the longer Citaro Capacity nor versions of the 18m artic fitted with the OM470 engine. From its launch, the Euro VI Citaro was equipped with an energy recuperation module, fed from the alternator, to support the 24-Volt on-board power unit though as this only assists with the ancillaries and not the drive of the vehicle it did not qualify the bus to be termed a hybrid. 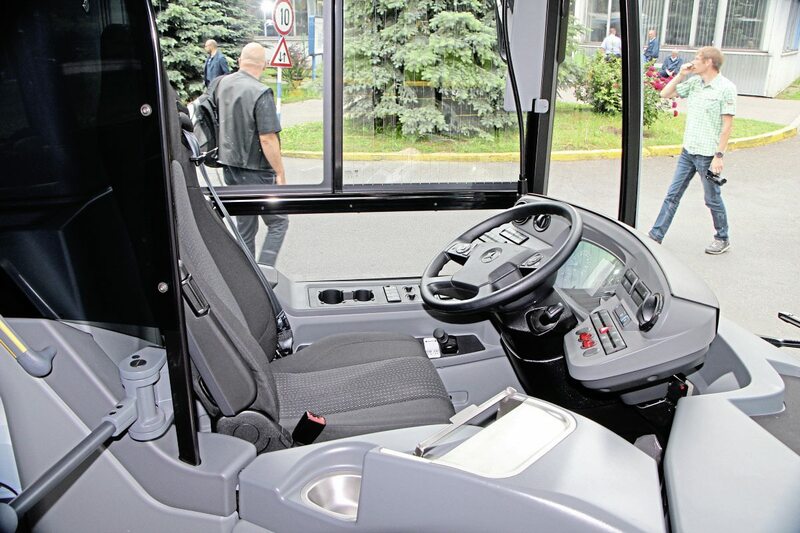 This unit is retained on the Citaro Hybrid, though the capacity has been increased from 31 to 35W/h. As a package, the bus will go anywhere other Citaros can, the hybrid equipment on the roof being lower than the air conditioning unit. Questioned on whether battery capacity couldn’t have been increased to provide additional help to the diesel unit, the company said that had the increased battery power, more capacity would have been required in the motor, as well as more space for them and probably a higher voltage system. They believed the combination provided the best price/performance balance. Mercedes-Benz does not offer stop/start on its buses and it was illuminating to hear Frank Mandel, the company’s technical guru, explain why. 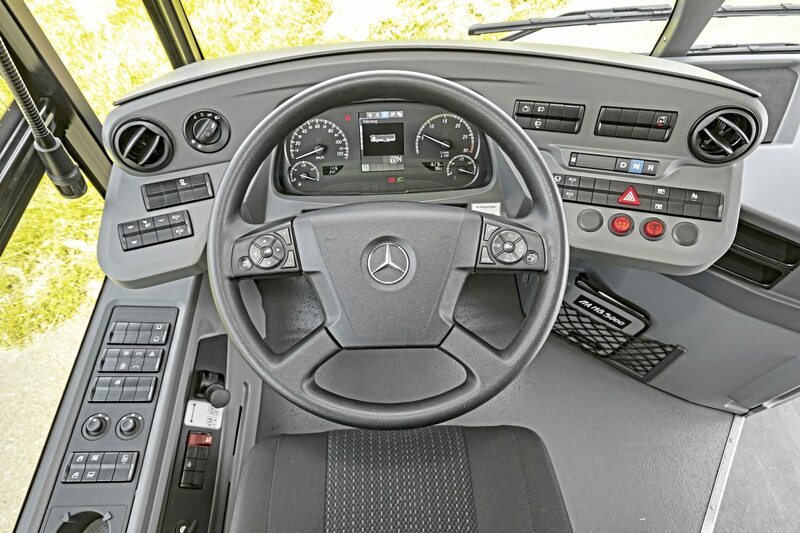 Daimler’s reluctance to install the system is for three key reasons. Firstly, with the high power supply needed to run modern ancillary systems, high capacity buffering is required which in turn requires big batteries. The alternator is constantly running on full load and the constant charging and recharging impacts on battery life. In practice, stops of over a minute with electrical systems on are difficult to support. A second concern was engine lubrication because every time the engine was switched off the oil pump was also turned off which could lead to oil sitting on hot spots and carbonising. His third point was the combination of time, heat and exhaust gas flow required to facilitate regeneration of the emission system. Constantly turning the engine off and cooling it resulted in a need to spray in additional fuel to accomplish regeneration. Available with two or three doors, some of my European colleagues questioned what was the point of a two-door lowfloor bus? They suggested that if you weren’t going to have three doors, you might as well have a low-entry version. At the wheel; the ride was good, braking was effective, drivers found it provided lasting comfort during a shift, and it was easier than the other two buses to see where the rear end was. The new steering system was accurate and provided the right amount of feedback through your hands. They felt the dash display screen was the easiest to understand, with one button taking you back from sub menus to the main menu. This latter point was typical of the refinement of the bus. 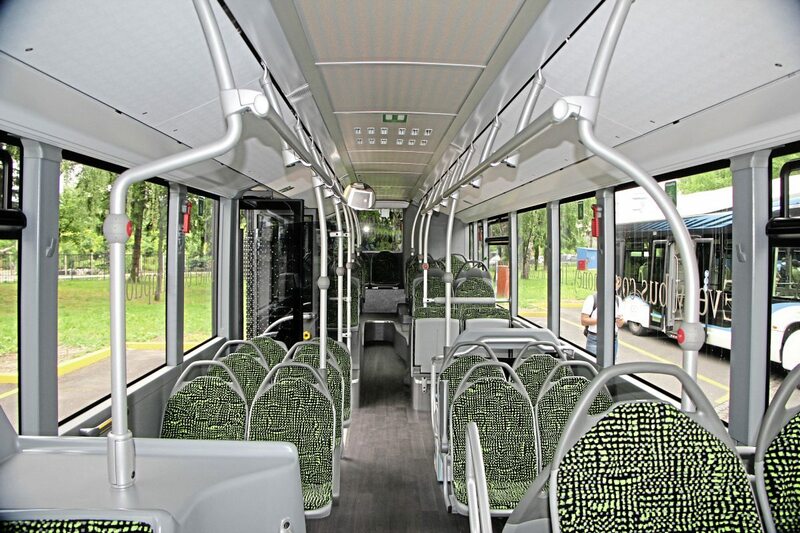 As I have previously written, the passenger can tell no difference between travelling on a standard Citaro and the Citaro Hybrid, though it was interesting that the noise readings taken at the rear of the interior were lower on the Citaro than either of the electrics. The same was not true from the pavement as both electrics were much quieter driving by. Compared with a diesel, a Citaro Hybrid would save 10.02kg of CO2 every 100 miles, so one covering 60,000km annually would save 6 tonnes of CO2 annually. Mercedes-Benz calculates that, at current fuel prices, it would take 3.6 years to fully amortise the €10,500 additional cost over a standard Euro VI diesel, which makes opting for the package a relatively easy decision to take compared with the transition to full electric prices. By the year end, over 500 will already have been delivered. The only concern is, would city politicians let you buy it?